With this Demonstration, you can combine a torus knot, a torus, and a central sphere into a nice arrangement. 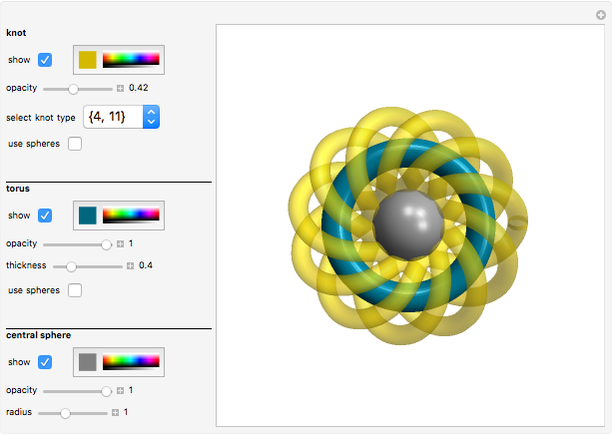 You can use tubes for the torus and knot, or build them from spheres. 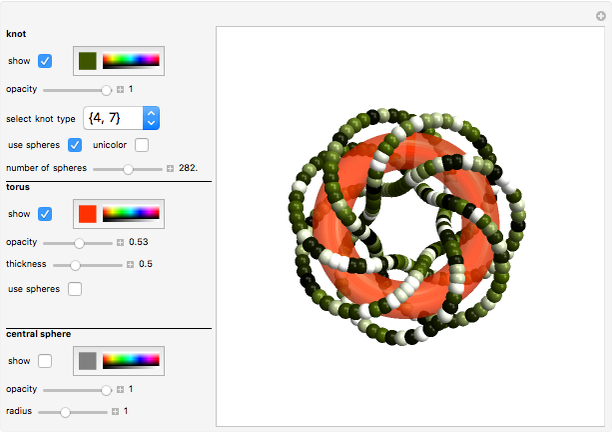 Adjust the colors and opacities for all objects to create various designs. 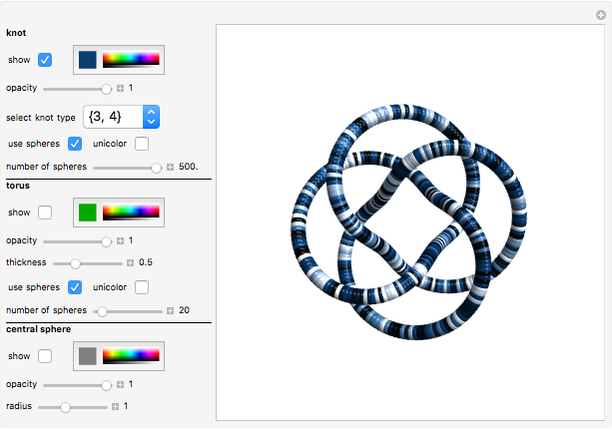 Bianca Eifert "Torus Knot Designs with Spheres"